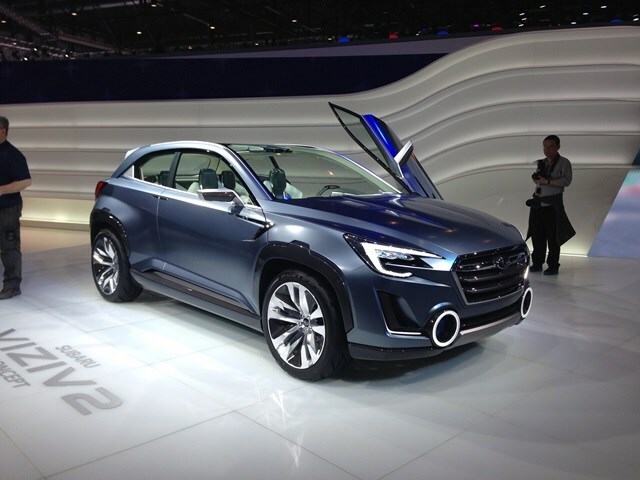 Subaru wheeled out to the waiting crowds its new VIZIV 2 Concept – an idea of what a new crossover vehicle from the Japanese company could look like. The name VIZIV was inspired by the phrase ‘Vision for Innovation’ and given the low profile the Subaru brand has in the UK it could certainly use some. Ready for production is the high performance WRX STi, a car which needs no introduction to fans of world rallying and which enjoys a cult following. 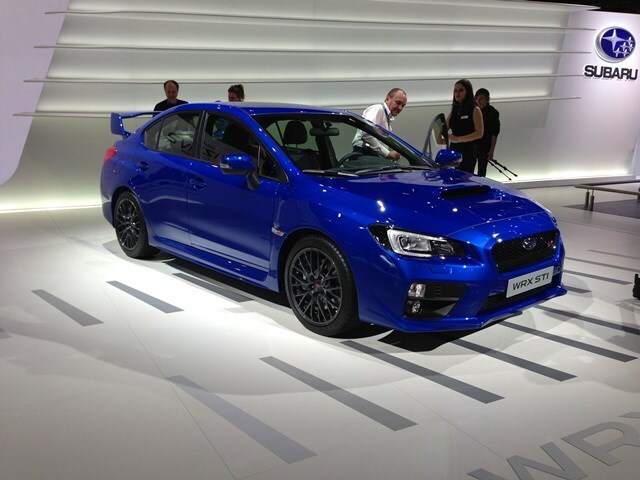 The new version isn’t likely to disappoint and Subaru is promising the WRX STi has been ‘fully optimised’ for performance. The Subaru XV compact crossover has also been updated for 2014 to improve ride, handling and safety. Subaru has worked hard on the suspension and sound proofing to improve ride comfort for drivers and occupants, plus there has been significant re-engineering of the cars front end to improve safety protection in the event of a crash. The Japanese firm points to Euro NCAP’s test score of 90 percent for child occupant protection. The XV range will no longer be offered with the 1.6-litre petrol engine so the choice is between a 2.0-litre petrol or diesel engine, plus a six-speed manual or automatic gearbox. A tyre-pressure monitoring system and gear shift indicator now feature on all models as standard, and prices remain the same starting at £21,995 on the road. For the full Subaru XV review click here.